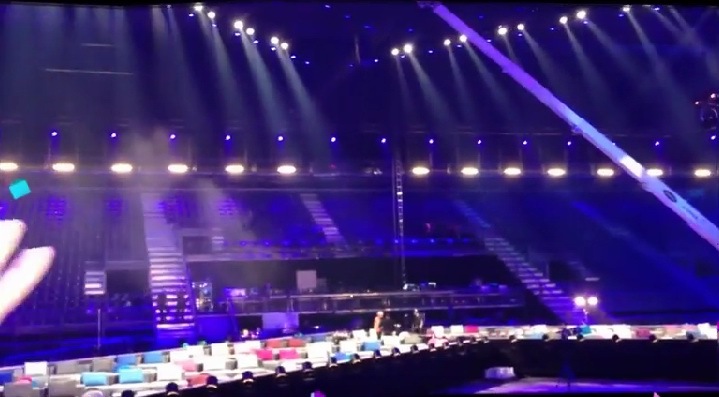 The stage of Eurovision Song Contest 2014 is now fully assembled and green room is ready. It is exactly one month to the final of the Eurovision Song Contest, and now all the technology needs to be tested through. The next two days are for the technical tests in B & W Hallerne, which includes everything from sound and light, of stage equipment and camera positions till power generators and through tests for mobile studio, to ensure everything is ready for the artists rehearsals in the hall. "All the technology will be tested, so that we can find and adjust all the errors and omissions that may occur before the start of 'real' rehearsals", explains Head of Production Kamilla Monies. "All our technicians will have a meeting at 9 o'clock, and it is the first time they enter the arena and will be acquainted with the location. This means that all the camera crew gets up on their positions and check their equipment through", elaborates Kamilla Monies. It should be ensured that we have established communications out to OB-wagons, the cameras are positioned correctly, sound and lighting should be checked, and monitors and graphics on the huge stage to function optimally. "Normally we have just one test day, but we opted to take two test days because there are so many things that need to be checked through", says Kamilla Monies. There will also be created back-up plans for every person with major working functions, so that someone else can take over if for example a camera man or lighting technician is unable for some reason to be present. In addition, there will be back-up plan on virtually any equipment. "If something goes wrong these days, it's only good because it got wrong in tests and not later". One challenge that has already met Head of Production, is that the floor in the halls, is more uneven than they were thinking originally. So now the green room has to be slightly higher at the sides than what was first meant, so green room area becomes completely flat. Our next guest at ESCKAZ.com is representative of Norway Carl Espen. "I feel extremely humbled, honored and proud. It is such a big declaration of trust and love to be voted to represent the country. It is a task I take very seriously", says Carl. At the Eurovision Song Contest he will perform song "Silent Storm" which he characterized as "a fragile, intense, genuine and powerful ballade about searching for one’s place in the world, and the hope that someday one will be calm". What is the story behind his participation? "Well, it all started out with my cousin, Josefin Winther. She is an established artist and songwriter, and we know each other very well. She knew that I was carrying a dream inside of me, a dream about singing for people. She also saw that I had some difficult emotions, that I kept on my inside. She sat down to write a song, where I could express these feelings, and the result was Silent Storm. She says that she meditated over who I am a person, and then wrote the song. So it was especially written for me, first and foremost. After Josefin had showed me "Silent Storm", she suggested that I sing it, and that we send it to the preselections. I said yes immediately. I felt that this was something I could be proud of, and it truly represented who I was, especially on a personal level." Carl, who still works in the glass company, says that he had to take numerous lessons with the vocal coach to get prepared first to MGP and now to Eurovision: "We have a warming up routine, where a lot of the focus is on the breathing, and really trying to "land" - stand steadily on the ground, and be present in the body. In a way it has many similarities to mindfulness. And then I try to seek into myself, and remember what I am singing about and why this is important to me". He adds that "the pressure is already enormous and being one of bookmaker’s favorite, doesn’t really change that. It flatters me, but more than anything it is inspiring and motivating". "I am extremely happy with outcome reached at MGP, and that I managed to come this far. I am an inexperienced artist, and I have been working continuously since I was accepted with my singing technique. I still have a lot to learn, and I know I can improve even more as a singer before Copenhagen. What had helped me to win the most? It’s hard for me to say, but I what most people express that they like, is my voice, the song and it’s lyrics, and how I am as a person. I think people realize that this is important for me on a very personal level, and that I am not trying to be anything I’m not". Regarding the Eurovision performance Carl confirms that he will have several musicians on the stage, but keeps the details for later. 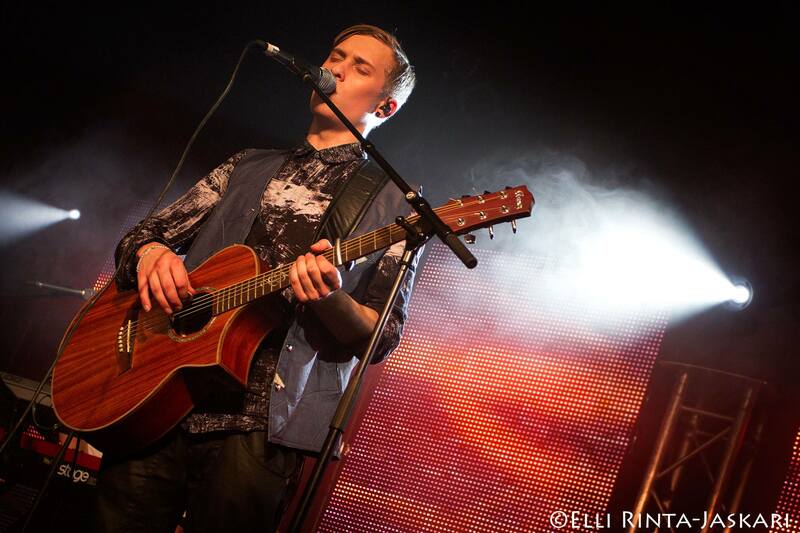 Carl already has been to Eurovision In Concert in the Netherlands and now is coming to London for another promo-event. "For me it is extremely exciting to meet fans, and the other artists and delegations. I have a lot of contact with my fans on social media, which I truly enjoy. Besides that, I try to take every opportunity to gain experience in performing, and these events are very good for me in that sense too", he says. "My aim will be to sing the song, completely present in the message and the lyrics. If I manage to do that, I will be very happy with myself. I also strongly believe that people will recognize that I am genuinely singing the song, and hopefully people will feel moved by it. It really humbles me, when people say that they have been moved or touched by my song"
"The level is just so incredibly high", he says about the competition. "So many experienced artists, and great songwriters. It’s quite a company to be in. My personal favorites are Finland, and also Netherlands. I love the country feel to it"
Singer reveales his plans to release an album. "I have been in studio recording sketches for the following songs, and I can’t wait to show them to you. I will be bringing variety into my style, but Silent Storm is a very big part of my sound so far, and I am very proud of it. My next songs will definitely also have more uptempo stuff. My dream is also to record an album, and it might just look like that dream will come true! ", he says. 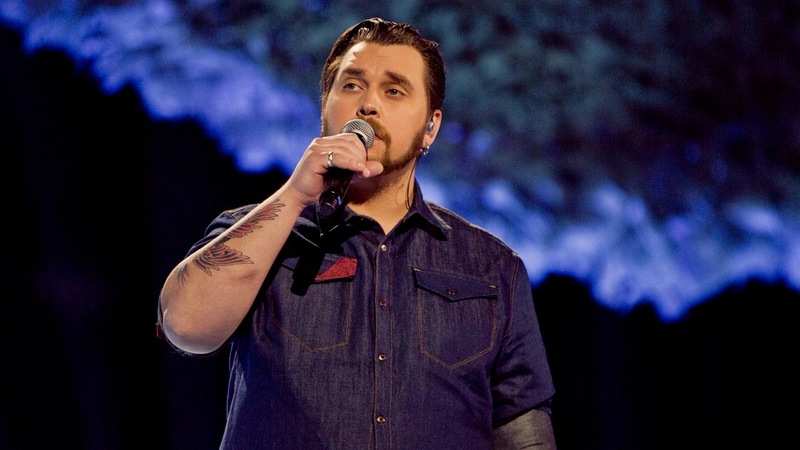 We have also asked Carl about his tattoos, which are now integral part of his image, and this is what he had to say: "I have ca eight of them, including two roses on my shoulders, and two album titles. I tattooed "Grace" by Jeff Buckley because it really changed the way I relate to music. I tattooed "Cold Roses" by Ryan Adams, because it is one of the best albums I know of"
• 3 Swedes and Portuguese as backing vocalist for Tolmachevy Sisters. • Eurovision stand-ins, students of Nya Malmö Latin school, have started their rehearsals. • BBC invites contest fans on postcard shooting on April 12. The Eurovision Song Contest Online Archive, which aims to store a copy of every song ever performed during the event’s 59 year history, will open for testing in May ahead of this year’s event in Copenhagen. Members of the EBU Community will be asked to contribute copyright guidance, and transfer digital copies of local versions of their final broadcasts to the technical platform, constructed with help from Danish Member DR, this year’s Contest host. Professional Users will be asked to test and provide feedback on the platform. This follows Member requests for access to historical editions of the ever popular contest. Full access will be given to broadcasters and producers next year when the contest celebrates its 60th anniversary. Videos will be available to the public through the www.eurovision.tv website and Song Contest fans will have access to selected items. “We are also hoping that the buzz the archive creates and the momentum of this year’s contest will lead us to the ESC ‘Holy Grail’ – the lost final broadcasts of the very first edition in 1956 and the lost edition of 1964,” he said. 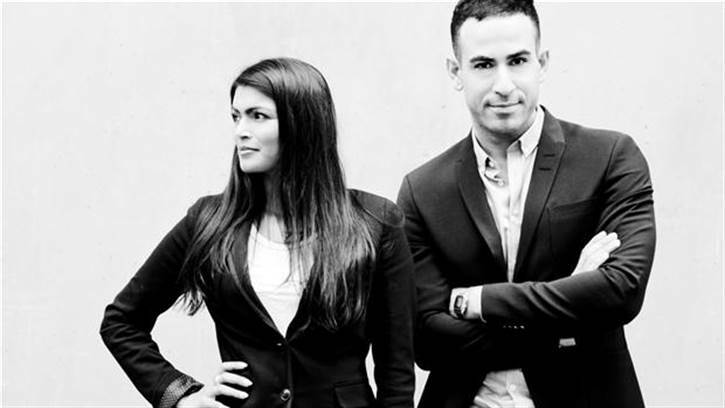 Abdel Aziz Mahmoud and Ulla Essendrop will be hosting official press-conferences in press-center of Eurovision Song Contest 2014. 1500-2000 journalists are accredited for the event. Ulla Essendrop was born in 1976, has MA in communication and media studies. Has been host of TV2 Sport, DR sport and has been in charge of big live shows like Danmarks Indsamlingen. She was the host of the so-called Head of Delegation meeting in March and led the allocation draw together with Tina Gøtzsche. "Press-conferences should be allowed to develop themselves. We're not going to stand and ask participants ten questions, if the press is in the room and want to put their own questions. We must not fill it all, we need to closely follow what the mood is". Abdel Aziz Mahmoud was born in 1983. Trained journalist from the Danish School of Journalism. 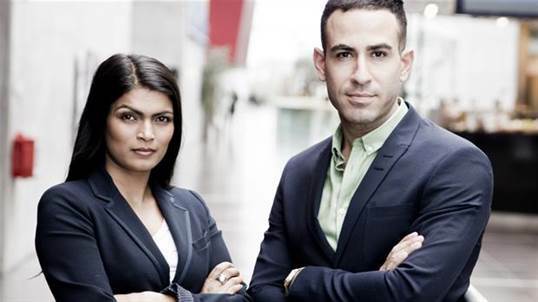 He has worked as a journalist on TV Avisen, P3 and hosted, among others, Smæk for skillingen, Basta and Aftenshowet. He is currently a producer at the DR2 program Søndag Live. "Anything that has to do with the contest, should show Denmark at it's best. So, Ulla and I will also need to show the best what is in Denmark"
"It's recommended that you have a good tone from the very beginning, since we are here for the party's sake and to have fun", says Ulla Essendrop. She fears, however, sharp or direct polemical questions will come from reporters: some may be forced to respond to political issues or their attitude to homosexuals. "Just as you should try to keep sports and politics separate, so I do not think it will be the big problem here as well", she explains. Another part of the moderator role is also to have background information, fun facts and everything else about the participants from 37 countries. 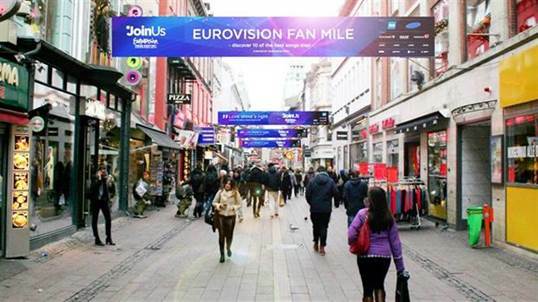 And the process is already in full swing: "We are following information closely now, and then there is the opportunity to be briefed up before every press conference", said Abdel Aziz Mahmoud, first of all looking forward to being part of the whole Eurovision circus: "I think it will be the largest and longest party I've ever been to!". You can find complete schedule of press-confereces on event page. • "Film noir" music video for Tolmachevy Sisters - shootings have started. • Joran from Aarzemnieki performs in European Parliament. • VRT invites mothers of all ages and extras aged over 25 for the shootings of "Mother" video of Axel Hirsoux. The recording will take place on April 14 in Vaudeville Theater in Brussels. • DR invites extras of all ages to take part in filming of the opening sequence of 2nd semifinal of Eurovision. Filming will take place on April 9 on Holmen. • New version of "Undo" of Sanna Nielsen as well as official BrainBeaters Radio Edit released. • Aram Mp3 takes part in Global "Happy" Flashmob. • Germany will continue Eurovision parties in Hamburg during Eurovision final. "It should be no secret that I've been dying to be allowed to be part of this year's Eurovision! The energy, joy and love that I experienced in 2011 in Düsseldorf with A Friend in London, was one of the most amazing things I have ever had! And I am very honored to be in charge of spreading the love on this year's official Euro Club"
You can find Tim in Store VEGA every night from May 4th to May 10th. Tim will be introducing and interviewing the artists on stage, and of course he will also sing himself. As a special feature the last week up to the Final, EuroClub will present “Tim’s Challenge” where fans get to decide which Eurovision song they would like Tim to sing. 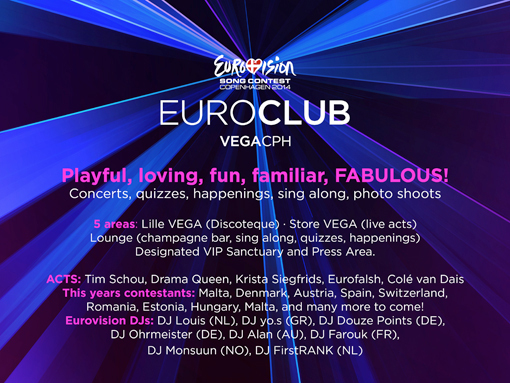 The keywords for this year’s EuroClub are: Playful, loving, fun, familiar, FABULOUS! One person that is the incarnation of all these five words is - Drama Queen. Europe met Drama Queen after she won the Danish pre-competition for the Eurovision Song Contest in 2007 with the song “Drama Queen”. When EuroClub asked Drama Queen to have an essential role at the club, and she said yes, it was decided to give her her own champagne lounge!. She absolutely loved the idea, and there it was - the EuroClub Lounge was born. 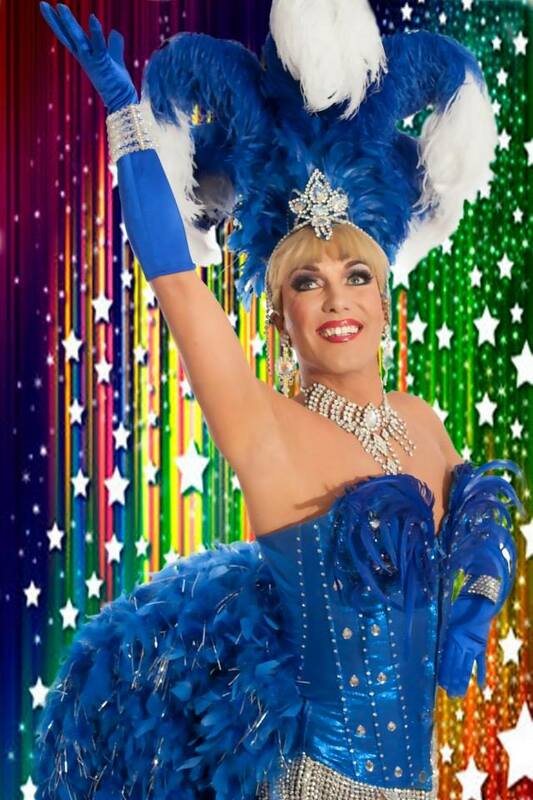 You can find Drama Queen in her champagne lounge every night from April 28th to May 10th. She will sing for you, sing with you (if you dare!) and have a lot of fun happenings, quizzes and Eurovision appearances up her sleeve. You can read more about Euroclub in Copenhagen at our Event page. 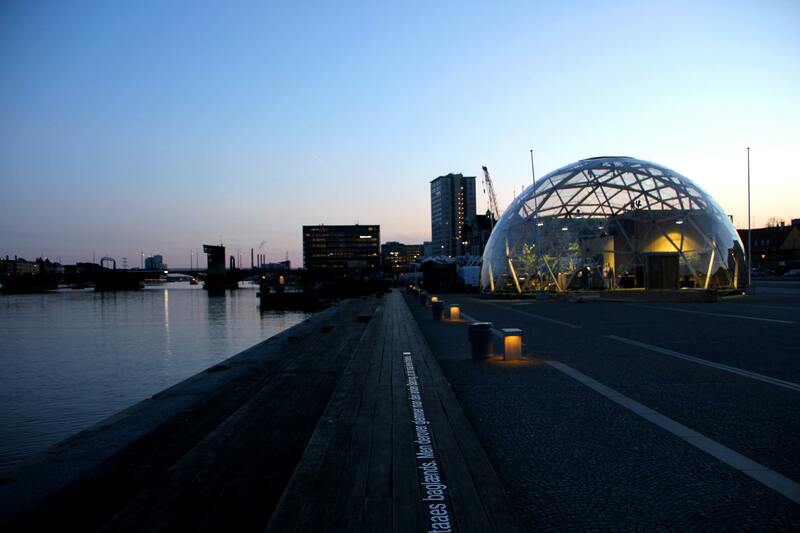 Host City Copenhagen has brought even more 'Green' initiatives for the Eurovision Song Contest 2014. Eat organic street food in Eurovision Village, quench your thirst with free tap water in the Aqua Bar and let the kids rollick in the Green Room. When the Eurovision Song Contest hits the capital of Denmark 4 - 10 May, it is not just about music and parties. Copenhagen has been appointed European Green Capital 2014 with the tagline Sharing Copenhagen, and the green visions of the region will play a vital role in the hosting of ESC 2014. The City of Copenhagen also encourages to use the easiest and most environmentally friendly mean of transportation to and from the Eurovision Island - bicycles. We have already informed our visitors about the Copenhagen Cooking initiative with organic food in Eurovillage. Continuing way of Malmö, Copenhagen will be offering tap water for all the visitors. Tap water is actually 900 times more environmentally friendly than bottled water, and it is partly due to the fact, that tap water does not need to be transported in polluting trucks. In addition to the existing drinking fountains around Copenhagen, water bars will be set up for the official opening ceremony at Copenhagen City Hall Square 4 May and all week in Eurovision Village. Here, HOFOR (Greater Copenhagen's largest utility company) will serve free Danish drinking water. Also leading up to the shows in B&W Hallerne on Eurovision Island, there will be free water in the Aqua Bar. HOFOR will be serving drinking water at the official opening ceremony at City Hall Square 4 May from 18:00, in Eurovision Village 4-10 May 12:00-21:00, and before the shows in B&W Hallerne 5-10 May 12:00 to 21:00. Copenhagen is a green oasis with an increasing focus on urban gardening, which one will be able to experience in Eurovision Village’s Green Room. The space will be slightly different from what is usually associated with a green room. Neither celebrities nor stardust will fill the room, but children and their families are guaranteed lots of fun, free and environmentally friendly activities all week. The Green Room will be run by the local environmental NGO Miljøpunkt Indre by-Christianshavn, and will be built of sod, plant bags and cress walls. Activities will include the planting of herbs, tasting pesto made from wild plants, making flowerpots of newsprint and more. There will even be a waste competition. The Green Room in Eurovision Village will be open 5-10 May 12:00-16:00. Beside The Black Diamond on Copenhagen’s waterfront, one will also be able to visit the large domed greenhouse Dome of Visions and its lush gardens. Here, one will be able to find new angles on the Eurovision Song Contest and the host city of Copenhagen, which is European Green Capital 2014 with the tagline Sharing Copenhagen. Dome of Visions will be open 6-9 May 10:00-19:00. Speed talks between 14:00-16:00. 6 May 14:00-16:00: How to win the ESC in 2014 - bookmakers, social media and storytelling by Research librarian Henrik Smith Sivertsen, the Royal Danish Library. 7 May 14:00-16:00: Sharing Copenhagen – European Green Capital 2014 by Head of Programme, Casper Harboe, City of Copenhagen. 8 May 14:00-16:00: What’s behind the Black Diamond? by Communication coordinator Uffe Paulsen, the Royal Library. 9 May 14:00-16:00: Dome of Visions – What’s the Idea? 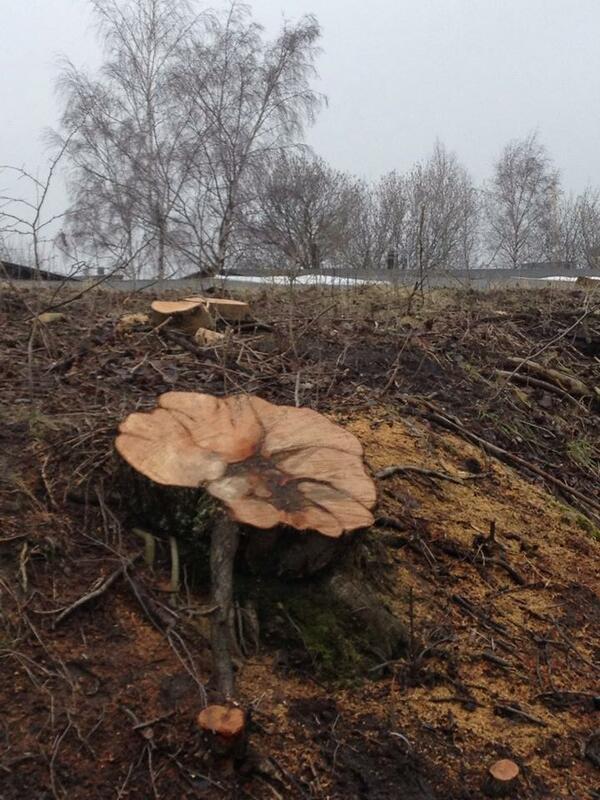 Meanwhile, tree group Red Byens Træer (Save the City's Trees) has been reporting that dozens of healthy trees has been cut on Refshaleøen due to the upcoming Eurovision. Organization highlights that trees were mostly cut to make extra spaces for temporarily parking lots. The trees cut include five wild apple trees. The only explanation given so far said "It's what happens when Eurovision comes to town". Christianshavn neighborhood committee has requested additional information from the Technical and Environmental Administration and Culture Agency on the creation of the temporary parking spaces on Quintus Bastion, which is part of protected archeological place Christianshavns Vold. Whether people of Crimea will vote as part of Russia or Ukraine at the Eurovision Song Contest 2014? Swedish newspaper Aftonbladet today published extensive article on this subject. EBU's top management and superviser of the contest Jon Ola Sand are now investigating how to deal with the dilemma. "We do not have an answer to that yet, it is a technical challenge. Currently, the Crimea area has phone number with a Ukrainian prefix. If that is still the case in May, their vote will be counted from Ukraine. If people meanwhile are able to switch to a Russian operator, with a Russian prefixes, or if people are moved automatically to a Russian network, their vote counts for Russia. We can not deny people in the Crimea the right to vote. And to isolate the area of ​​the Eurovision is extremely complicated process. From a cell phone, it will be impossible for us to see if a vote is coming from Crimea or Moscow. It does not mean that we are committed to the ongoing conflict in Crimea. This is the reality beyond our control that we look at"
Will it be problematic for the EBU if the Crimean vote will be counted as part of Russia, given that the UN has not recognized the Russian takeover?, asks newspaper. "It's something we need to look at. We also work closely with the Ukrainian TV company about how to solve it". Today, EBU in assoiciation with Highlight Event AG company has relaunched Eurovision shop for the 2014 season. You can pay with your credit card (Visa, MasterCard) or via PayPal. All orders are shipped from Germany by DPD who delivers directly to your door. Price of the shipment to Russia, Ukraine, Belarus is 30 Euros and items will be delivered in 3-6 business days. "Fans from all over the world have joined us and voted for their favourite songs. We ended up with a large number of songs. The most surprising to us was that Greece’s winner song from 2005, My Number One, made the list. We would never have guessed without the fans. Now all that is left is to take a walk down memory lane on the Fan Mile and celebrate the great melodies,"
To make sure it was fair and diverse, it was decided that each country could only have one song on the Tribute Walk. In case a country had more than one song in top 10, chosen was the song with most votes. Thus Waterloo was picked over Euphoria and Diggi-loo Diggi-ley, Fairytale over La det Swinge, Hold me Now over Lipstick. 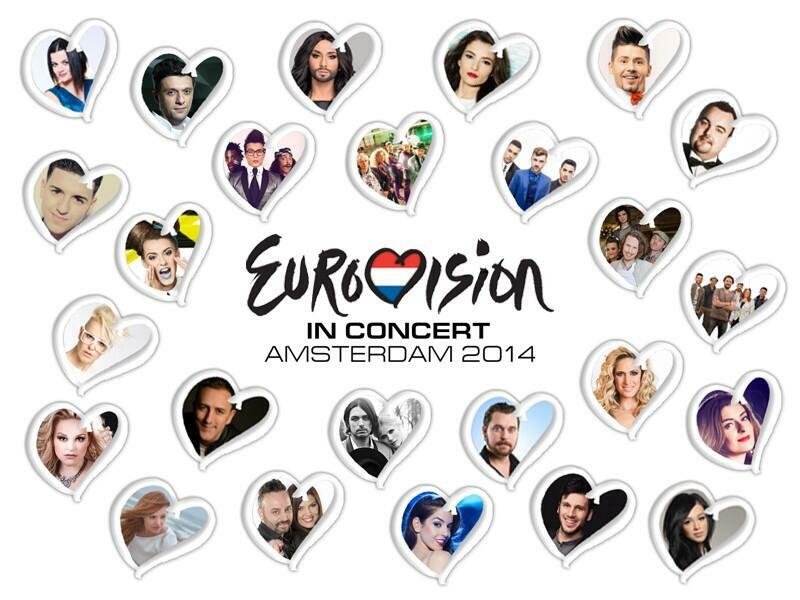 The 6th edition of the biggest Eurovision promo event takes place on Saturday, April 5, 2014 in Amsterdam, the Netherlands. Participants from 25 countries will attend the party. Several 2014 Eurovision hopefuls will take the opportunity to get familiar with the Eurovision spirit, prior to the real thing in May. In a relatively short time, the event has become a landmark in many agendas; of both fans and artists. Artists get to meet their competitors, they can get used to giving interviews and most of all: they get to meet the most dedicated Eurovision fans from all over Europe. A record of 200 journalists will attend the official welcome which will be attended as well by Jan Lagermand Lundme (Head of Show, Danish broadcaster DR) and Sietse Bakker (Event Supervisor of EBU). Interview with one of Eurovision In Concert organizers René Romkes. Hosts: Sandra Reemer & Cornald Maas. Special guests: Frizzle Sizzle (ESC 1986) and Emmelie De Forest. Tickets: 30.10 EUR. On March 18 it has been announced that all 1500 tickets are sold out. Official pre-party: April 4, 21.00 at Aknathon. OGAE Netherlands, in co-operation with Eurovision in Concert, celebrates Maribelle's 30th Eurovision Birthday with a half an hour concert! 12points' DJ Louis will provide music for the night. Tickets will be available at the door for 10 Euros. Official after-party will take place in Odeon. Tickets cost € 10.00 and will be available at the entrance to Eurovision In Concert. 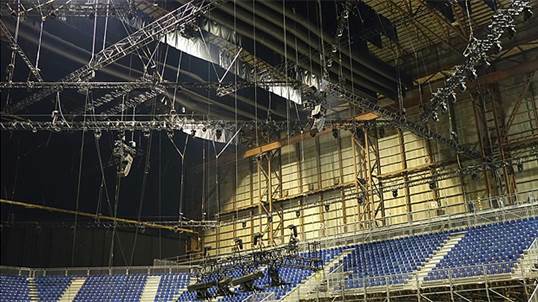 "Everyone said "wow" and applauded to the stage, even though it was just two quick pictures", says show manager Jan Lagermand Lundme, who on Saturday has shown glimpses of the Eurovision stage for the Eurovision fans in Amsterdam. "Diamond-shaped? No surprise, but it looks damn exciting!" 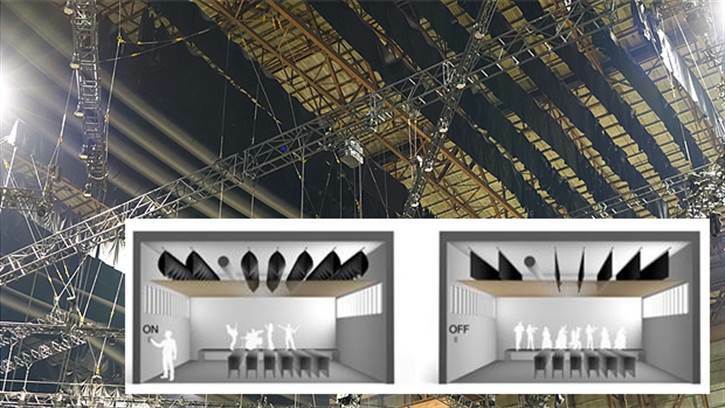 - that is the first reaction on Facebook after DR show manager Jan Lagermand Lundme revealed the first glimpse of the stage for the Eurovision Song Contest in May. "We've tried to make it all hang together: The scene, graphic details and our slogan #JoinUs. And we have succeeded, if the first thing people say is that it looks like a diamond", says a happy show manager. Diamond shape is evident in one of the pictures Lundme has shown that displays an open, angular scene in blue and white colours - similar to #JoinUs logo, DR announced in the fall. In the next picture takes the stage though looks completely different. 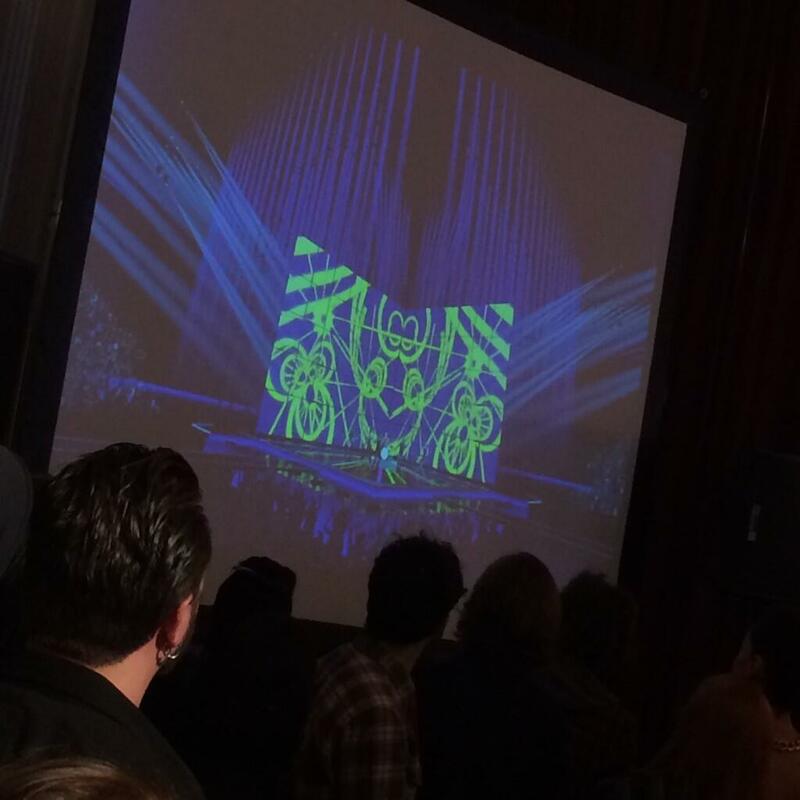 "It's a good picture, that shows the stage can be both very open and closed", says show boss. "It's going to be able to do something, it becomes very magical. I can not really say more", mysteriously says Lundme. The stage construction is now being finalized in B & W Halls and Lundme has already changed his office in DR Byen for a trailer on Refshaleøen. "We have moved very far. Diamond is already done, and now lacks only some details. It will be finished by Thursday, when we have the first engineering rehearsals". Our next guest is experienced singer Dilara Kazimova, who will be performing "Start A Fire" representing Azerbaijan at the contest. "It's an amazing joy for me! I’m excited since I've won national selection. But, of course, I'm aware that it is a huge responsibility and I'm staying focused on my goals", says Dilara. She thinks that experience she gained in the previous Eurovision preselections when she was part of Unformal and Milk&Kisses helped her to reach success this year. "My participation in 2008 and in 2010 gave me time to learn and guided me to take part in this year's national selection. I was absolutely ready this year". "Start a Fire was selected by the national jury from several other entries and I can’t be any happier with their choice. One of the authors Stefan Örn was a member of the international jury at semi-finals and he wrote this song especially for my voice and vocal abilities. Now, this song is special for me. It doesn't sound like any other track I've worked on, it has a deep and touching emotional story. I was impressed the first time I heard it. There is something mysterious and even uncatchable, I believe in this song. The most important thing in in are the lyrics. And my main goal is to bring this meaning to the audience, to make everybody feel my emotions when I'm on stage"
"We are working on the stage presentation right now. Its day-to-day process and new ideas and concepts are coming up constantly", Dilara says. She also describes the music video which was filmed to accompany the entry: "We've got a couple creative ideas for this video. Final decision was to shoot at the 25-stores building’s roof. Start a Fire is soulful and deeply emotional song and at high altitude person is usually feels that strong emotions such as fear, encouragement, joy, sadness.... I think that cold and windy weather also made my emotions even deeper and gave me an opportunity to bring song's meaning to the viewers"
"I'm competitive and passionate person. But I'm looking at the contests’ participation as mutual exchange of creative ideas and experience and opportunity to find something new for myself. Eurovision is the unique Contest by scale and standard. And I feel that this experience is going to be life changing for me. I'm really glad to get a chance to work with team of professionals who creating such amazingly beautiful TV show"
Azerbaijani singer says she plans to visit 6-7 countries prior to Eurovision, starting with Eurovision in Concert in Amsterdam. "Promotional tour gives you an opportunity to get involved in the process even before the Contest. I'm performing my song, I can feel reaction to it, draw some conclusions for myself. Obviously it’s also for promotion of my song. It’s actually available on iTunes and Amazon from this week so it might help (laughing). And, of course, there is always great feeling from meeting fellow contestants on the way and people from different countries". Besides touring, her preparations will include "lots of rehearsals, vocal lessons, yoga classes to stay fit and keep my mind calm. Still the most important for me is to get ready emotionally. This is one of the main challenges". Dilara says that she is into different music genres – jazz, soul, rock, and opera. "It's hard to tell which one is my favorite. It all depends on my mood. Before Eurovision I was working on a few new songs, now this work is at stand-by mode. But after Eurovision I'm will probably shoot a music video for “Alone”. I've performed this song during Böyük Səhnə (The Big Stage) final. Then I'm going to start working on my solo album". she says to all the readers of this interview. You can find a full version of it on our Facebook page. A huge concrete hall and good sound seldom go hand in hand, it knows anyone who has been to a concert in a large sports stadium. Therefore, the Host City Copenhagen, which is the company behind Copenhagen's organization of the Eurovision Song Contest, hired one of the nation's leading sound experts and is developing a new technology needed to ensure that the audience and TV viewers get the best possible sound experience in B & W Halls in May. "The challenge is that the space is so big. And larger the room, the longer is reverberation - that is how long the sound is to die out", explains Eddy Bøgh Brixen, experienced sound engineer from DR, who has published several researches on acoustics and worked on sound design in many Danish venues and concert halls. 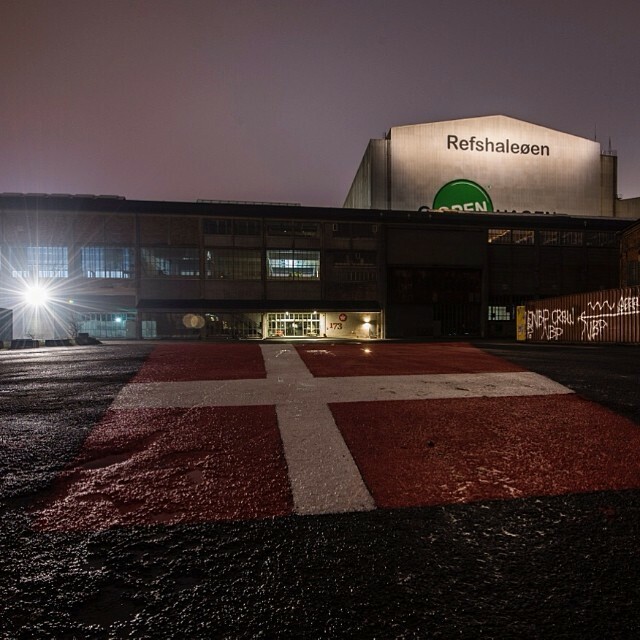 "When B & W Halls on Refhaleøen are empty, it takes 13.2 seconds for the sound to die out. The time must be reduced to 3 seconds. There is a requirement to mute the sustained sound in all ends of the spectrum, so we use several different tools. "We work for example with Molton (provider of sound-absorbing black fabric, etc). A single layer does not help here, it's too thin. We need 3-4 layers, and we need to cover 15,000 square meters. So there needed 60,000 square meters of Molton!" A brand new, Danish invention is also being used - the so-called AqFlex. It is a kind of 'balloons' of plastic that can absorb the bass sound. "My invention is directed to low tones and the medium frequencies", says Niels Werner Adelman-Larsen, who developed the 'balloons' that are specialized manufactured in Germany for Eurovision. "The bass is amplified to a very high sound pressure levels by rhythmic music. If you do not get the better of the hall keeping the bass caught, then a single tone can continue to reverberate for a long time. And then the overall sound becomes muddy and boomy. That's why we hang 50 absorbers in the ceiling, which is 48 meters long. There must be placed nearly 100 more of them hanging from the ceiling down along the walls of 25 and 35 meters. They are all one meter in diameter and weigh quite a bit"
The last time Eurovision was in Copenhagen back in 2001, and part of the audience in Parken has unfortunately experienced a bad sound. This year, the host city and DR claim the task will be fulfilled quite differently. "It will be better than in Parken, I can well guarantee! And it is even though B & W halls actually have a longer reverberation time", says Eddy Bøgh Brixen. Exclusive photos from Refshaleøen taken today. • Official Schedule of rehearsals and press-conferences of Euroweek in Copenhagen published. • Russian version of "Shine" by Tolmachevy Sisters presented today. • Latest news on Teo preparations for the contest. • Children of the Universe to be released on April 28. • Tickets for the final sold out in 15 minutes today. Tickets for the other shows are still available. • Sanna Nielen and Cristina Scarlat film their Eurovision postcard. • Results of the 2nd German Songcheck show. Our next guest today is representative of Estonia Tanja, who will be performing song "Amazing" in Copenhagen. "I was actually very surprised that I won the Eesti Laul. I am so thankful to everyone who believed in me and voted for me, who enjoyed my performance. The feeling was so overwhelming that I was just speechless; everything was like in a dream"
Tanja says about her feelings after the national final victory. She has previously tried in the national Estonian preselection with "Nightlight Duo" but then was absent from the show for many years. "I just felt with my heart that it’s about time to return, so we wrote the good song and it got selected", she says. "I’ve been working together with Timo Vendt for 10 years now. We wrote all the songs for my album "Gemini" which was realised last year. We also perform, work at the studio and have a lot of fun together. That is why this year we needed something extra, a little challenge, so we decided to write a song for the Eurovision Song Contest, of course in our favourite dance-pop style and so we did. I think one of the reasons I won was because of my performance - the combination of my dancing and singing at the same time, which probably distinguished me from other contestants. Also we had a good song for the Eurovision Contest. But definitely my desire to win brought me the victory; I have wanted this for far too long"
We have asked if there is any special secret for the "Amazing" vocals we've heard at the national preselection? "This is one tough cookie :) I do ALL of my performances with live singing and I enjoy dancing routines with my dance girls as well – probably that’s where I get my strength and steam. It was the same with the song “Amazing”, it is nothing like this that I just want to do it and it comes naturally. It requires a lot and I mean A LOT of rehearsals, late night hours of trainings, sweat and tears. But most of all I love challenges and I love to entertain people, so all of this is worth every second of the hard work I do"
Singer says there will not be any more changes brought in the song itself. "We’ve made a lot of changes during the creation of the song, which is a normal process and we are really satisfied with the outcome". There will also be released remix and acoustic version of the song. However, for performance in Copenhagen she has some small tweaks and surprises in mind. On the Eurovision stage she will be joined by her "favourite dance partner of all time Argo Liik, we've been dancing together for a long time now in musicals and special projects on TV etc" and experienced Eurovision backing vocalists: Kaire Vilgats (Estonia 2000, Malta 2002), Marvi Vallaste (2012) and Marilin Kongo (2009, 2011). "Actually, I don’t like competitions very much; to be honest I don’t like them at all :) I enjoy different festivals, where all the artists get to know each other, perform and hang out together as one without being judged by others but sometime we all need a good injection of adrenaline", smiles Tanja. Her original aim is simple: "First of all I hope I could at least get into finals". Unfortunately she will not have any promotional tour: "I believe that pre-contest promotion tour is very good for the contest success and I would love to have one as well, but there is no time because the schedule is booked with my day-to-day performances – it’s insane", she says. At the moment her other plans include new TV projects and recording of the new album. "Last year I had an amazing Christmas Tour, as it went very well, maybe I’ll drive around Estonia and give Christmas concerts this year as well". 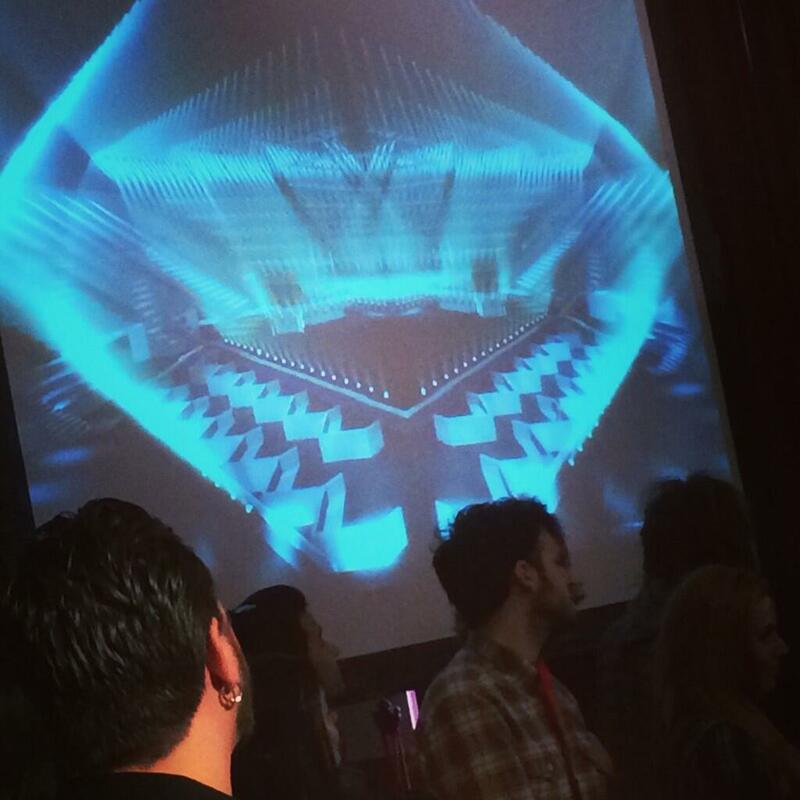 Tanja says that her preferences lay in the field of club/dance music. "For the last 7 years I’ve been writing, singing and performing in this genre. My biggest influences definitely comes from Beyoncé, Pink and of course Loreen most likely because of their work ethics (they always sing live and i respect them very much)". From the other Eurovision competing entries she highlights song of Hungary: "I really like it. I was very surprised that they uses drum ’n’ bass in chorus, András Kállay-Saunders’s has a wonderful voice and it is definitely catchy melody. I would certainly love to meet him there"
"Enjoy every moment of your life!" is Tanja's wish for the readers of the interview. You can check it in full on our Facebook page. Our next guests are members of Greek band Freaky Fortune who together with Riskykidd will represent this year Greece with "Rise Up". "Winning national final was a wonderful surprise for us! And this is just the beginning of the whole experience that is called Eurovision… We are exited for this opportunity! ", say Freaky Fortune members Nikolas and Teo. "We… the young people of Europe are especially and in a way mostly influenced by the economic crisis and in some cases by political imbalances. Are we going to surrender to all those things that put us down? The urge to rise up above difficulties and create inspired us to compose “Rise Up”. We Rise up by looking to the world through the prism of youth, the angle of creativity and optimism and we want the whole Europe with us… We hope that this message will dance-on Europe and become the soundtrack of what we currently perceive as one of the most uplifting movements … the "Rise Up" movement!" The song was written long before Eurovision. Freaky Fortune have teamed up with Riskykidd already during composing process. "We had the idea of the rap parts of the song, and since we really liked RiskyKidd’s contribution to the song “Party all the time”, we proposed to our company Panik Records for RiskyKidd’s participation in our song". Sometime after, the record label has proposed the band to participate in the national Greek final with this song. "Of course we accepted right away! ", say Freaky Fortune. There will be no changes in the version to be performed in Copenhagen itself, but the band is planning to release some remixes, and may be accoustic version as well. The staging however will be a bit different: "We will try to do something quite demanding… that we can not reveal just yet! The only thing we can reveal is that we will try to visualise a “Rise Up”!". What will be the most difficult for them in the song performance? "Hahahaha… We cant tell yet… but you ll realize when you see the live performance!". Joining band on the stage will be two backing vocalists, whose names are not yet disclosed. Band has no plans to release any new material prior to the Eurovision, since their single "Rise up" turned out to be a great success in Greece and it is… literally rising up in all the charts. Success of the band started with participation in the international cover competition of the famous Hollywood Blogger Perez Hilton. They did a cover a Katy Perry’s song which is called "Part of me" and won the competition. The band hopes their success in contests will continue, however, they formulate their aim for Eurovision a bit differently. "Our primarily aim is to convey our “RISE UP” message to all the people of Europe! We aim to put a great performance, have fun, leave the Eurovision experience and make Greece proud… We also hope that this will be a start for some European and international cooperations!" 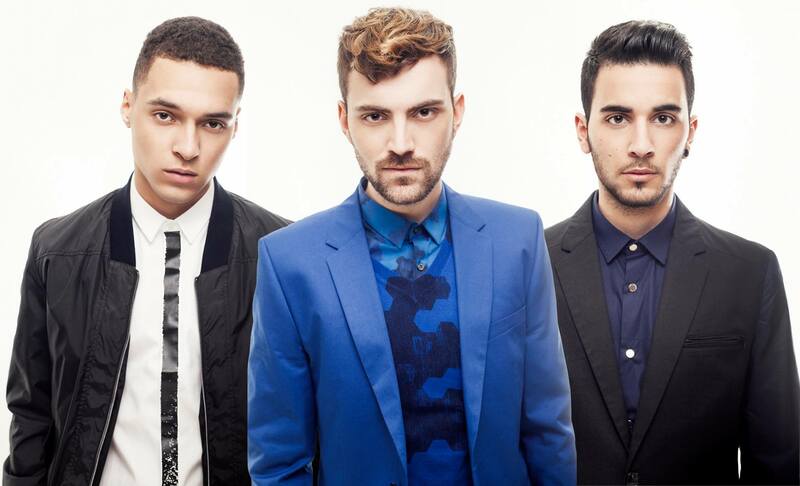 The band will visit Amsterdam and London for two Eurovision Parties. "There are some other requests for some other countries but we cant tell if the promo tour will entail them. We would love to travel as much as possible… discover different countries, meet more people and spread our music! ", say band members. Surely they've heard all other competing songs! "Some of our favorites are Armenia, Malta, France and Finland… hope we don’t forget any!!". "Listen to a lot of music because it makes everything better! Create your own soundtrack, be positive, be you and of course “RISE UP”"
is the closing message of the band members. You can read full interview on our Facebook page. • Results of the first Der große ESC-Songcheck preview show. • Sanna Nielsen launches video diary "My way to Eurovision". • Basim completes Eurovision postcard filming. • Tolmachevy Sisters had official Eurovision photoshoot. Our next guests are representatives of a most rockish nation in the history of Eurovision - Finland, band "Softengine" which will be performing song called "Something Better" in Copenhagen. Lead singer of the band Topi, explains their name: "We wanted a name that describes us as a band, so we created a character called “Softengine”. It is a stick figure whose head is replaced by a motor. It reflects a person who thinks too much". In the beginning of their career they took part at a local Lions Club band competition and won. "We like the competitions because we get honest feedback for what we do", says band members. So it was Topi again, who first had the idea to take part in UMK, the national Finnish Eurovision preselection. "We had seen an announcement online about it. We voted within the band whether to take part or not, and 3 of 5 voted for taking part. We had 10 days time before the deadline to compose, write lyrics, arrange, mix and master the song. We got everything done the last day!" "Ten days before UMK deadline we were jamming and playing funk at our training facility. The next day at work it dawned on me that I could make a real song out the jam. I planned a chorus in my head and presented it to the others in the next practice. We tried a simplified version of the chorus and that turned everyone on. So we decided to forget about the funk part. Me, Henri and Ossi went to my grandparents' cottage to work on the lyrics. That and sauna bathing took a couple of days. After that we recorded, mixed and mastered a demo of the song. We finished it in the nick of time on the day of the contest deadline". "The lyrics are about an old man who reminisces about his life from childhood to the present day. He has always been dissatisfied with his life as it seems that he has never achieved anything and has not done anything out of the ordinary. In his old days his wife dies and he realizes that what they had was ”something better” than what he could have achieved and that he should have cherished the moment. The understanding of the possibility of victory came only when jury has revealed their points at the national final, "I can’t remember much of that situation, it was so unexpected! ", Topi says. Band members think that a good song and being different from other participants helped them to win the national final. Will it also bring them luck at the international Eurovision? "It would be great to make it to the final. That would be a great promotional concert", Topi says. They went to the studio to improve the song a bit after the national final: "We worked on the chorus melody a little, paid attention to the pronunciation, added some details and made the overall sound a bit better". The stage performance will more or less remain unchanged. The music video for the song was shot at a horse track. "There was a small stage where we played the song a lot of times. It was really cold but lots of fun!" "We are working on the album all the time. It will be very versatile, it shows that we are not just a rock band. I don’t know yet when we will get it finished, but we try to be as fast as possible"
The album is produced by Sony Music, and band are very thankful for their record label: "They have helped as a lot already, we would be lost without them!" Due to their busy schedule, band unfortunately will not have a time for the promotional tour. "I guess precontest promotion does matter as well, but the most important thing is how you perform at the Eurovision stage". However, Topi says he had a chance to listen to some of the entries taking part in the contest, and his favourites at the moment are Greece and Armenia. 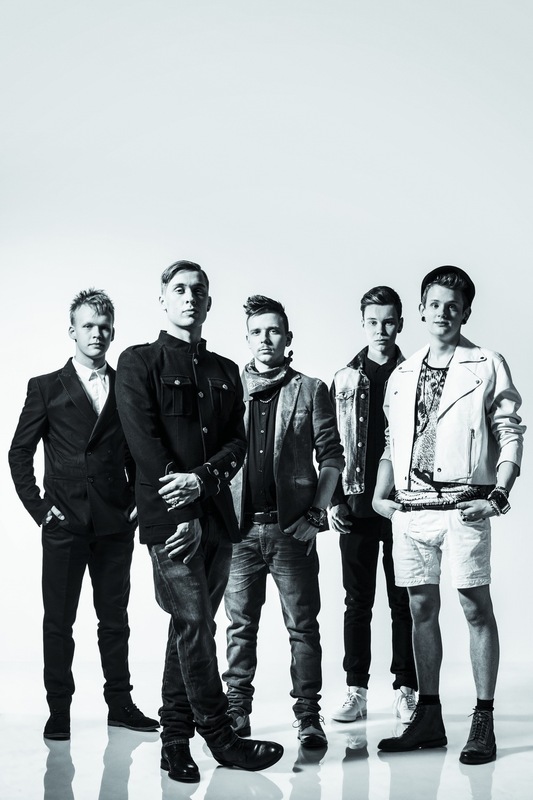 "If you haven’t heard our song yet, you can go to our www.softengine.fi and check it out. We hope you like it! You can also follow us on Facebook and Instagram"
You can read complete interview on our Facebook page. Danish broadcaster DR will not react to the wish of The Social Democrats party, 2nd largest party in Danish parliament and largest party in current Government coalition, to exclude Russia from Eurovision. 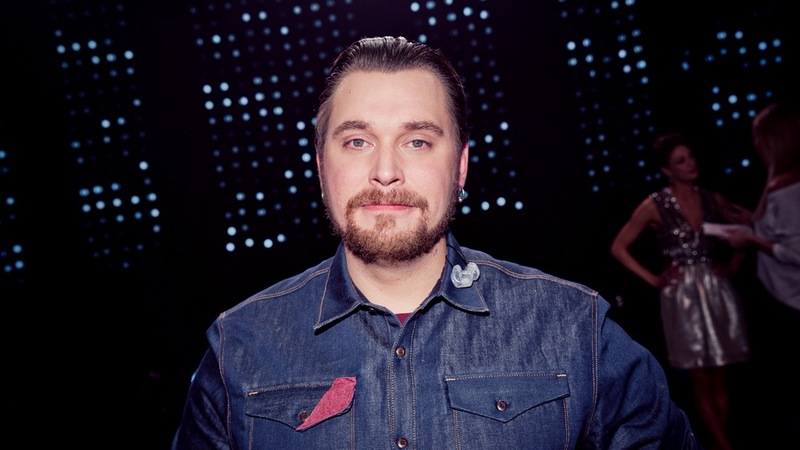 Lasse Quvang Rasmussen, who is 4th-top candidate of The Social Democrats party for the European elections on 25 May calls to exclude Russia from the Eurovision Song Contest because of its behavior on the Crimean peninsula. 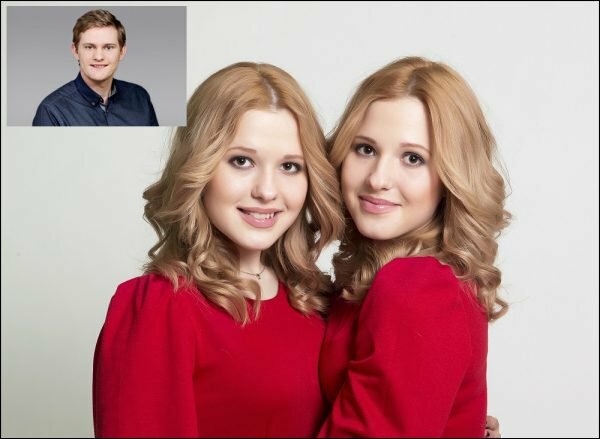 He promises to try to put political pressure on DR and the EBU, organizers of Eurovision, to force the Russian entrants "The Tolmachevy Sisters" out of Eurovision, according to the Social Democratic party press department. But DR Eurovision manager Pernille Gaardbo rejects to interfere in the political conflict. "DR's role as host of the Eurovision Song Contest 2014 is to create three fantastic shows which provides a framework for a cross-popular musical community. That is the idea behind the international song contest since the beginning, to unite Europe through music. All provisions relating to participation from each country are handled exclusively by the EBU"
Lasse Quvang Rasmussen suggests Eurovision exclusion as an alternative to the political and economic sanctions imposed by the West against Russia. The political sanctions, that the West has set against Russia have been "ridiculed a bit", so it is time to "set up some other penalties," said the politician. "It would be obvious to use the opportunity when Denmark is the host country, not to let them in". He believs since DR has a special position in the organization of the show this year, it should bring the proposal on the table of EBU. "It's not hitting them financially, but Russians love the Eurovision Song Contest, so it would send some dissatisfaction waves through the population. In this way we can hit Putin where it hurts the most: on the prestige"
"It's a very difficult situation that has arisen in Europe. It is clear that this is something that we must follow closely on our part to see if it will have any consequences for the Eurovision Song Contest; but so far we believe it will not"
• European broadcasters prepare preview shows: Der große ESC-Songcheck will be broadcasted online on April 3-6, Inför Eurovision starts on April 4, Alla leið to be launched April 5, De Eurovisa starts on April 13, and finally Adresse København will be aired starting April 26. Сцена Евровидения 2014 полностью собрана и гринрум, расположенный рядом с ней, тоже уже готов. До финала конкурса остается ровно один месяц, и пришло время для тестирования всей техники, которая будет задействована на шоу. В ближайшие два дня такие тесты будут проводиться в B&W Hallerne, что включает в себя все от звука и света, сценического оборудования и позиций камеры до генераторов электричества и тестов в мобильной студии, для того, чтобы гарантировать полную готовность зала к началу репетиций с артистами на сцене. "Вся техника будет проверена от и до, чтобы мы смогли найти и отрегулировать любые ошибки или пробелы, которые могут произойти, до начала "настоящих" репетиций", объясняет начальник производства Камилла Монис. "Все наши технические работники встречаются сегодня в 9 часов, и это будет впервые, когда они смогут попасть в зрительный зал и познакомиться с ним поближе. Все операторы впервые смогут занять свои позиции и приступить к проверке своего оборудования", рассказывает Камилла. Необходимо проверить связь с передвижной студией, правильное расположение и работу камер, звуковое и световое оборудование, гарантировать правильную работу мониторов и графики на огромной сцене. "Обычно, тесты занимают всего один день, но на этот раз мы решили потратить на них 2 дня, потому что слишком многое нужно проверить", говорит Камилла Монис. Будут созданы т.н. "планы Б" для каждого человека с важными рабочими функциями, чтобы заменить его на случай непредвиденного отсутствия, а также для каждой единицы оборудования, на случай если она вдруг выйдет из строя. "Если в эти дни что-то пойдет не так, то это только к лучшему, что это случится во время тестов, а не позже". Начальник производства уже столкнулась с одной проблемой, связанной с тем, что пол в зале оказался более неровным, чем считалось первоначально. Поэтому, для того, чтобы гринрум был полностью плоским, пришлось его немного приподнять по краям. Следующим гостем ESCKAZ.com становится представитель Норвегии Карл Эспен. "Я невероятно тронут, польщен и горд. То, что зрители доверили мне представлять страну - настолько большое выражение доверия и любви в мой адрес. Это задача, к которой я отношусь со всей серьезностью", говорит Карл. На конкурсе он исполнит песню "Silent Storm", которую он характеризует как "хрупкую, искреннюю и мощную балладу о поиске места человека в мире, и надежде о том, что однажды он сможет найти спокойствие". Какова его история участия в конкурсе? "Все началось с моей кузины Джозефин Винтер. Она - известная певица и автор песни, и мы хорошо с ней общаемся. Она всегда знала о моей сокровенной мечте, о мечте петь для людей. Она также заменила, что внутри меня прячутся различные сложные эмоции. Она решила написать песню, в которой я бы смог выразить эти чувства, и результатом стал "Silent Storm". Она говорит, что попыталась войти в мою личность, прежде чем написать песню. Поэтому, конечно, песня написана именно для меня. После того, как Джозефин показала "Silent Storm" мне, она предложила сделать запись, и затем отправить ее на национальный отбор. Я немедленно согласился. Я почувствовал, что это то, чем бы я мог гордиться, поскольку песня действительно представляет меня таким, какой я есть, даже на очень глубоко личностном уровне"
Карлу, который все еще в настоящее время работает в стекольной компании, пришлось взять множество уроков с педагогом по вокалу, для того чтобы подготовиться сначала к MGP, а затем к Евровидению: "У нас есть особая разогревающая процедура, где много внимание уделяется дыханию, и попыткам "закрепиться" - твердо стоять на земле, и управлять своим телом. С какой-то стороны это имеет много общего с практикой сати - "осознанности" в буддизме. И затем я пытаюсь заглянуть внутрь себя самого, вспомнить, о чем я пою, и почему это все так важно для меня". Он добавляет, что "давление, которое ложится на меня и так уже невероятно огромное, поэтому то место, какое я занимаю у букмекеров в этом плане ничего не меняет. Я польщен, что нахожусь на лидирующих позициях, но скорее это вдохновляет и мотивирует, чем давит на меня". "Я был чрезвычайно доволен тем результатом, который мы достигли в MGP, и что я смог зайти настолько далеко. Надо признать, что я малоопытный артист, и мне пришлось работать без устали, чтобы быть принятым со своей вокальной техникой. Все еще есть очень многое, чему мне нужно научиться, и я знаю, что до Копенгагена я еще могу более вырости как певец. Что мне помогло больше всего достичь победы? Сложно сказать, но многие люди говорили мне, что им нравятся мой голос, песня и ее текст, и я сам как личность. Я думаю, что люди понимают, насколько все это важно для меня на личном уровне, и что я не пытаюсь быть кем-то тем, кем я на самом деле не являюсь". Что же касается выступления на Евровидении, то Карл говорит о том, что на сцене с ним будут несколько музыкантов, но пока не разглашает идеи. Он уже побывал на вечеринке Eurovision In Concert в Амстердаме, и скоро отправится в Лондон, для участия в очередном промо-мероприятии. "Для меня очень важно встретиться с фанатами, другими артистами и делегациями. Я много общаюсь со своими поклонниками в социальных сетях, от чего я получаю огромное удовольствие. Помимо этого, я использую любую возможность набрать опыта выступлений, и все эти концерты очень полезны для меня и в этом смысле тоже", говорит он. "Моя цель заключается в том, чтобы спеть песню, полностью отразить себя в ее месседже и тексте. Если я смогу добиться этого, то буду очень собой доволен. Я также полагаю, что зрители должны понять, что я пою абсолютно искренне, и надеюсь, что это мотивирует их. Мне всегда становится очень приятно, когда люди говорят, что их взволновала или тронула моя песня"
"Уровень - невероятно высокий", говорит Карл о других участниках конкурса. "Столько много опытных артистов и прекрасных авторов. Меня окружает замечательная компания. Моим личным фаворитом является песня Финляндии, а также Нидерланды, мне нравится ее звучание в стиле кантри"
. Певец также раскрыл некоторые планы на выпуск альбома. "Я уже записал в студии несколько набросков на свои будующие песни, и жду не дождусь возможности показать их всем вам. Конечно же, я буду вносить в свой стиль разнообразие, но Silent Storm - это большая часть моего звучания на настоящий момент и я очень горжусь ею. В следующих песнях, конечно, будут и быстротемповые композиции. Записать альбом - моя мечта, и сейчас уже очень вероятно, что она сможет реализоваться! ", he says. Мы также спросили Карла Эспена о его татуировках, которые уже являются неотъемлимой частью его имиджа, и вот что он нам рассказал: "У меня их восемь, включая две розы на плечах и два названия музыкальных альбомов. Я вытатуировал "Grace" Джеффа Бакли, потому что он полностью изменил мое отношение к музыке и "Cold Roses" Райана Адамса - потому что это один из самых лучших альбомов, что я когда либо слышал"
• 3 шведки и португалец на бэк-вокале у Сестер Толмачевых. • Дублеры, студенты школы Nya Malmö Latin, приступили к своим репетициям. • BBC приглашает поклонников конкурса на съемку посткарда 12го апреля. Абдель Азиз Махмуд и Улла Эссендроп станут ведущими официальных пресс-конференций в пресс-центре Евровидения 2014. Всего на конкурс будут аккредитованы 1500-2000 журналистов. Улла Эссендроп родилась в 1976 году, имеет образование в области медиа и коммуникаций. Была ведущей телеканалов TV2 Sport, DR Sport и вела такие крупные шоу как Danmarks Indsamlingen. Она была ведущей встречи глав делегаций в марте, и со-ведущей церемонии жеребьевки полуфиналов конкурса вместе с Тине Гёцше. "Пресс-конференции должны развиваться сами собой. Мы не будем стоять там и задавать участникам десятки вопросов, если в зале много прессы и они хотят задать свои вопросы. Мы не должны заполнять пресс-конференцию собой, но должны тщательно следить за ее настроением". Абдель Азиз Махмуд родился в 1983 году. Закончил датскую школу журналистики. Работал репортером на TV Avisen, P3 и вел, помимо прочего, такие программы как Smæk for skillingen, Basta и Aftenshowet. В настоящее время он является продюсером программы DR2 Søndag Live. "Все, что относится к конкурсу, должно демонстрировать Данию с самой лучшей стороны. Потому Улла и я тоже должны показать все лучшее, что есть в Дании"
"Рекомендуется принять хороший тон с самого начала, ведь мы здесь прежде всего для получения удовольствия и большого праздника", говорит Улла Эссендроп. Однако, она беспокоится о том, что на пресс-конференциях прозвучат и острые вопросы: некоторые страны могут спросить о политических проблемах или их отношении к гомосексуалистам. "Но как мы всегда пытаемся отделить спорт от политики, я не думаю, что и здесь это станет значительной проблемой", объясняет она. Важной частью роли ведущего пресс-конференций является также знание дополнительной информации об участниках конкурса, интересных фактов и всего прочего. И этот процесс уже в самом разгаре: "Мы очень тщательно следим за поступающей информацией и, потом, у нас будет возможность коротко пообщаться с делегациями перед каждой пресс-конференцией", говорит Абдель Азиз Махмуд, который с нетерпением ждет начала Евровидения: "Я думаю, что оно будет самой длинной и большой вечеринкой, на которой я когда либо был!". Вы можете найти полное расписание пресс-конференций на странице организации мероприятия. • Видеоклип в стиле "нуар" для Сестер Толмачевых - съемки начались. • Йоран из группы Aarzemnieki выступил в Европарламенте. • VRT приглашает матерей всех возрастов и статистов в возрасте от 25 лет на съемки видеоклипа на песню "Mother" Акселя Ирсу. Съемки состоятся 14 апреля в Vaudeville Theater в Брюсселе. • DR приглашает статистов всех возрастов для съемок видео, которое будет показано в начале 2го полуфинала Евровидения. Съемки пройдут 9го апреля в Холмене. • Выпущена новая версия "Undo" Санны Нильсен и официальный BrainBeaters Radio Edit. • Арам Mp3 принял участие во всемирном "Happy" флешмобе. • В Германии продолжится проведение вечеров Евровидения в Гамбурге во время финала Евровидения. "Не должно быть секретом ни для кого, что я горел желанием принять участие в Евровидении этого года любым образом. Та энергия, радость и любовь, что я испытал в 2011 году в Дюссельдорфе с A Friend In London, было одним из самых потрясающих ощущений в моей жизни. Я очень польщен стать главным по распространению позитивной энергии и любви в Евроклубе этого года"
Вы сможете встретиться с Тимой в Store VEGA каждый вечер с 4 по 10 мая. Тим будет представлять и брать интервью у каждого из участвующих артистов на сцене, и, конечно же, петь сам. В качестве специальной программы, Евроклуб представляет “Tim’s Challenge”, где поклонники конкурса смогут определить, какую из песен Евровидения им споет Тим. Ключевыми словами Евроклуба этого года являются: игривый, любящий, веселый, знакомый, потрясающий! И только единственный человек воплощает в себе все эти слова - Drama Queen. Европа познакомилась с Drama Queen после ее участия в Евровидении 2007 с песней “Drama Queen”. Когда Евроклуб пригласил Drama Queen на важную позицию в клубе и она ответила да, то организаторы приняли решение создать специально для нее - champagne lounge зону. Она была в восторге от идеи, и так и родился EuroClub Lounge. Вы сможете встретиться с Drama Queen в ее лаундж-зоне каждый вечер с 28 апреля по 10 мая. Она будет петь для вас, петь с вами (если вы не побоитесь! ), проводить множество веселых конкурсов, викторин и приглашать к себе гостей. Дополнительную информацию о Евроклубе в Копенгагене вы можете найти на нашей странице организации мероприятия. Город Копенгаген выдвинул еще большее количество "Зеленых" инициатив на время проведения конкурса Евровидение 2014. Гости города смогут отведать органическую пищу в Евродеревне, уталить свою жажду водой из под крана в Аква-Баре и дать своим детям порезвиться в Зеленой комнате. Евровидение - это не только музыка и вечеринки, и Копенгаген хочет отметить во время него тот факт, что он был признан Зеленой Столицей Европы 2014 года и свой девиз Sharing Copenhagen. В дополнение ко всем этим зеленым инициативами, организаторы также предлагают всем посетителям города использовать самый легкий и безопастный для окружающей среды способ передвижения - велосипеды. Мы уже рассказывали нашим читателям об инициативе Copenhagen Cooking с продажей органических продуктов питания в Евродеревне конкурса. Продолжая традицию, сложившуюся в Мальме, Копенгаген будет предоставлять воду из под крана всем посетителям конкурса. В Копенгагене вода из под крана в 900 раз более экологически чистая, чем бутылированная вода, потому что ее не нужно перевозить в грузовиках. В дополнение к уже существующим фонтанчикам с питьевой водой в Копенгагене, водные бары будут установлены для официальной церемонии открытия на Copenhagen City Hall Square 4го мая, и всю неделю в Евродеревне. Здесь, компания HOFOR (крупнейшая копенгагенская компания по коммунальному хозяйству) будет предоставлять всем посетителям бесплатную питьевую воду. Перед шоу в B&W Hallerne на острове Евровидения также откроется Аква Бар с бесплатной водой. HOFOR будет предоставлять воду на церемонии открытия 4го мая с 18:00, в Евродеревне с 4 по 10 мая с 12:00 до 21:00, и перед шоу в B&W Hallerne 5-10 мая с 12:00 до 21:00. Копенгаген - это зеленый оазис с большим упором на городские сады, которые можно будет увидеть в Зеленой Комнате, которая расположится в Евродеревне. Она будет отличаться от привычных зрителям Евровидения зеленых комнат, грин-румов, и в ней не будет звездных исполнителей, но ее наполнят дети и их семьи, которым гарантировано множество веселья и различные экологические игры всю неделю. Грин-румом будет заведовать неправительственная организация Miljøpunkt Indre by-Christianshavn, и она будет построена из дерна, садовых горшков и цветочных стен. Дети смогут научиться сажать травы, попробуют песто, сделанное из дикорастущих растений, научатся делать цветочные горшки из газетной бумаги и много другое. Будут проводиться даже соревнования по сортировке отходов. Зеленая комната в Евродеревне будет открыта с 5 по 10 мая 12:00-16:00. Рядом с The Black Diamond - Черной жемчужиной, зданием библиотеки на побережье Копенгагена, гости города смогут посетить большой куполообразный парник Dome of Visions и его пышные саду. Dome of Visions будет открыт с 6 по 9 мая 10:00-19:00. Лекции с 14:00-16:00. Тем временем природоохранительная группа Red Byens Træer (Спасем городские деревья) сообщила о том, что десятки здоровых деревьев были срублены на Рефсхалеюне для нужд предстоящего Евровидения. Организация подчеркивает, что в основном это было произведено для того, чтобы освободить территорию для временных парковок. Среди срубленных деревьев были по меньшей мере пять диких яблонь. Единственным объяснением, полученным организацией было "Это всегда происходит, когда в городе проводится Евровидение". Районный совет Кристиансхауна обратился с запросом в природоохранную администрацию города и агентство по культуре с требованием объяснить создание временных парковочных мест на Quintus Bastion, который является охраняемой частью охраняемой исторической территории Christianshavns Vold. Будут ли жители Крыма голосовать на Евровидении 2014 в составе России или Украины? Шведская газета Aftonbladet публикует сегодня расследование данного вопроса. Руководство ЕВС и супервайзер конкурса Йон Ола Санд в настоящее время изучают, как разрешить сложившуюся проблему. "В данный момент у нас нет ответа на этот вопрос, это технологическая проблема. В настоящее время в Крыму все еще используются телефонные номера с украинским кодом. Если также будет и в мае, то голосование будет засчитано от Украины. Если тем временем люди смогут перейти на росскийских операторов, с российским кодом, или будут автоматически переведены на российскую телефонную сеть, их голос будет засчитан от России. Мы не можем лишить жителей Крыма права голосовать. И изолировать территорию от голосования на Евровидении - это чрезвычайно сложный процесс. Со стороны голосования по сотовым телефонам, мы не можем определять, поступает ли голос из Крыма или из Москвы. Если голоса будут засчитаны от России, это не означает, что мы поддерживаем ее позицию по конфликту в Крыму. На самом деле ситуация лежит вне нашего контроля. Мы пытаемся разрешить проблему в сотрудничестве с участвующей в конкурсе телекомпанией из Украины"
Сегодня ЕВС в сотрудничестве с компанией Highlight Event AG перезапустил официальный магазин Евровидения на сезон 2014 года. Вы можете оплатить покупки в нем с помощью кредитной карты Visa, MasterCard или через PayPal. Все товары доставляются из Германии курьерской службой DPD, которая осуществляет доставку на дом. Стоимость доставки до России, Украины и Беларуси составляет 30 евро, и покупки будут доставлены в течении 3-6 рабочих дней. "Поклонники конкурса со всего мира присоединились к нам и проголосовали за свои любимые песни. Мы получили множество вариантов. Наиболее неожиданным для нас стало то, что песня Греции, победившая в 2005 году, My Number One, смогла попасть в этот список. Без фанатов мы бы никогда об этом не подумали. Теперь все, что нам остается сделать, это пройти по дороге нашей памяти на Фан-миле и вспомнить эти успешные хиты Евровидения"
Для того, чтобы список был более честным и разнообразным, было решено, что от каждой страны на Tribute Walk может быть только одна участвующая песня. В случае, если от страны в топ 10 попали несколько песен, то преимущество отдавалось песням с большим количеством голосов. Таким образом Waterloo обошло Euphoria и Diggi-loo Diggi-ley, Fairytale обошло La det Swinge и Hold me Now обошло Lipstick. 6й выпуск самого крупного европейского промо-мероприятия перед Евровидением пройдет 5го апреля 2014 года в Амстердаме, Нидерланды. В нем примут участие конкурсанты из 25 стран. Ряд участников конкурса Евровидение 2014 используют эту возможность для того, чтобы познакомиться с духом Евровидения перед началом настоящей Евронедели в мае. За относительно короткое время мероприятие в Амстердаме стало вехой как для поклонников конкурса, так и для участвующих артистов. Артисты смогут встретиться со своими конкурентами, привыкнуть к карусели интервью и прежде всего: получат возможность встретиться с самыми преданными поклонниками Евровидения со всей Европы. Рекордное количество в 200 журналистов посетит официальный прием, на котором также будут присутствовать Ян Лагерманд Лундме (руководитель шоу, телеканал DR) и Ситце Баккер (ивент-супервайзер, ЕВС). Интервью с одним из организаторов Eurovision In Concert Рене Ромкесом. Ведущие: Сандра Реймер и Корнальд Маас. Специальные гости: Frizzle Sizzle (Евровидение 1989) и Эммели Де Форест. Билеты: 30.10 евро. 18 марта было объявлено, что все 1500 билетов были распроданы. Официальная пре-пати: 4 апреля, 21.00 в Aknathon. ОГАЕ Нидерланды вместе с Eurovision in Concert, отметят 30-летнюю годовщину с момента участия в конкурсе певицы Марибелль, которая даст по этому случаю получасовой концерт. Диджей Луис из 12points будет отвечать за ночную музыкальную программу. Билеты можно будет приобрести на входе за 10 евро. Официальная афте-пати состоится в Odeon. "Все сказали "вау" и стали апплодировать сцене, несмотря на то, что мы показали всего лишь две картинки", говорит руководитель шоу Ян Лагерманд Лундме, который в субботу продемонстрировал два эскиза сцены Евровидения поклонникам конкурса, собравшимся в Амстердаме. "В виде бриллианта? Ожидаемо, но выглядит чертовски интересно!" - такими были первые реакции, которые стали появляться на Facebook после того, как Лундме продемонстрировал первые эскизы сцены, на которой в мае будет проведено Евровидение. "Мы постарались объединить все вместе: сцену, графический дизайн и наш слоган #JoinUs. И я считаю, что мы преуспели, если люди сразу заметили, что она выглядит как бриллиант", говорит обрадованный руководитель шоу. Форма бриллианта очевидна на одном их эскизов, которыми поделился Лундме, на котором видно открытую сцену с несколькими углами, оформленную в белых и голубых цветах, напоминающих логотип конкурса, который DR представило осенью. На следующем эскизе, правда, сцена выглядит совершенно иначе. "Это хорошая картинка, она показывает, что сцена может быть как открытой, так и закрытой", говорит руководитель шоу. "Она сможет изменяться, и это будет очень волшебно. Но пока я больше ничего не могу сказать", таинственно заявил Лундме. Возведение сцены в B&W Halls уже подходит к концу, и Лундме уже сменил свой офис в DR Byen на трейлер на Рефсхалеюне. "Мы продвинулись уже очень далеко, основа в виде бриллианта уже готова и нам остались лишь несколько деталей. Она должна быть полностью готова к четвергу, когда мы начнем первые технические репетиции". Наша следующая гостья - опытная певица Диляра Казимова, которая исполнит песню "Start A Fire" представляя Азербайджан на Евровидении этого года. "Это непередаваемое счастье! Я радуюсь с того самого момента, как я одержала победу на национальном отборе. Но, конечно же, я понимаю, что это и большая ответственность, и потому я остаюсь сконцентрированной на достижении поставленных целей", говорит Диляра. Она полагает, что опыт, заработанный ею во время прошлых участий в национальных отборах, где она была в составе групп Unformal и Milk&Kisses помог ей добиться успеха в этот раз. "Мое участие в отборах 2008 и 2010 годов дало мне возможность и время многому научиться, и в итоге привело к очередному участию в отборе уже в этом году. Я считаю, что на этот раз я была полностью готова к нему.". "Start a Fire была выбрана национальным жюри из ряда других песен, и я не могла бы и быть более обрадована их выбором! Один из ее авторов Стефан Ёрн был членом нашего жюри на полуфинале "Большой сцены" и он написал эту песню специально под мой вокал и мои возможности. Теперь эта песня является особенной для меня. Она звучит совершенно не так, как любой из треков, над которыми я работала когда-либо раньше, у нее есть глубокая, трогательная, эмоциональная история. Я была поражена ею с самого первого прослушивания. В ней есть что-то загадочное и даже неуловимое, я полностью уверена в своей песне. Самое важное в ней - это текст. И моя основная задача сегодня - это донести его содержание до зрителей, сделать так, чтобы они почувствовали эмоции, которые я переживаю на сцене во время исполнения данной песни." "Прямо сейчас мы работаем над сценическим номером. Это сложный ежедневный процесс, в котором постоянно появляются новые идеи и концепции", говорит Диляра. Она также описывает видеоклип, который был снять, чтобы визуально поддержать песню: "Для клипа у нас тоже было несколько креативных идей. В итоге мы решили снимать его на крыше 25-этажного здания. Start a Fire - это душевная и глубоко эмоциональная песня, и на высокой высоте человек обычно испытывает самые сильные эмоции, такие как страх, воодушевление, радость, печаль... Я думаю, что холодная и ветренная погода еще только усилили мои эмоции, и дали возможность донести смысл песни зрителям"
"Я страстная личность и мне нравятся соревнования. Но я рассматриваю участие в конкурсах скорее как взаимообмен творческими идеями и опытом, для того, чтобы найти в этом что-то новое для себя. Евровидение - это уникальный конкурс по своему масштабу и стандарту. Я чувствую, что он сможет изменить всю мою жизнь. Я очень рада получить шанс поработать с командой профессионалов, которые создают подобное замечательное телевизионное шоу"
Представительница Азербайджана говорит, что планирует посетить 6-7 стран до Евровидения, начиная c Eurovision in Concert в Амстердаме. "Промо-тур дает возможность стать вовлеченным в процесс еще до начала самого конкурса. Я буду исполнять свою песню, я смогу почувствовать реакцию на нее, и сделать для себя определенные выводы. Конечно, он также нацелен и на продвижение моей песни. Кстати, на этой неделе она уже вышла на iTunes и Amazon, так что может быть и это тоже поможет (смеется). И, конечно же, всегда приятно встретиться с конкурсантами и просто людьми из других стран". Помимом тура, подготовка Диляры будет включать в себя "множество репетиций, уроков вокала, занятий йогой, для того, чтобы поддерживать себя в оптимальном состоянии и быть спокойной. Самое важное для меня - подготовиться к конкурсу эмоционально, это один из главных вызовов". Диляра говорит, что она исполняет музыку в различных жанрах - джаз, соул, рок и опера. "Мне сложно выделить какой-то один из них, все зависит от моего настроения. Перед Евровидением я работала над несколькими новыми песнями, но пока эта работа приостановлена. Но после конкурса, я, скорее всего, буду снимать видеоклип на песню "Alone", которую я исполняла на финале "Большой сцены". А уже после этого я смогу начать работать и над сольным альбомом". говорит певица всем читателям этого интервью. С его полной версией вы можете познакомиться на нашей странице в Facebook. Огромный бетонный зал редко бывает совместим с хорошей акустикой, об этом также знают все, кто был на концертах на больших спортивных стадионах. Поэтому, Host City Copenhagen, организация отвечающая за подготовку к конкурсу, наняла одного из ведущих датских специалистов по звуку и развивает новые технологии, необходимые для того, чтобы обеспечить качественный звук как для зрителей в самом зале, так и зрителей у экранов телевизоров. "Проблема состоит в том, что пространство огромно. А чем больше помещение - тем длиннее реверберация, то есть период угасания звука", объясняет Эдди Бё Бриксен, опытный звукорежиссер DR, который опубликовал несколько исследований по вопросам акустики и работал над звуком во многих датских концертных залах. "Когда B & W Halls на Рефсхалеюне пусты, требуется 13.2 секунды для полного погашения звука. Это время нужно уменьшить до 3х секунд. Необходимо также заглушить звук во всех частях спектра, для чего мы используем различные технологии. Например, мы работаем с компанией Molton (производителем звукопоглощающей черной ткани и пр.). Один слой здесь не помогает, это слишком тонко. Нам нужно 3-4 слоя, и покрыти 15 тысяч кв.м. Таким образом нам нужно 60 тысяч кв.м ткани!" Также используется совершенно новое, датское изобретение, т.н. AqFlex. Это своего рода "шары" из пластика, которые могут поглашать басовые звуки. "Мое изобретение направлено на низкие и средние частоты", говорит Нильс Вернер Адельман-Ларсен, который разработал "шары", которые специально для Евровидения были произведены в Германии. "Бас усиливается до очень высокого уровня звукого давления ритмической музыкой. Если у вас не получается уловить басы в зале, то один и тот же звук может продолжать отзываться очень долгое время. И тогда звучание в целом становится грязным и гулким. Поэтому, нам нужно разместить на потолке длиной в 48 метров 50 таких звукопоглотителей, и еще 100 будут свешиваться по стенам, размерами в 25 и 35 метров. Все они 1 метр в диаметре и довольно тяжелые"
В прошлый раз, когда Евровидение проходило в Копенгагене в 2001 году, часть зрительской аудитории в Parken испытала плохую слышимость. В этом году город организатор и телеканал DR обещают выполнить данную задачу совершенно иначе. "Звук будет лучше, чем в Parken, я это могу гарантировать! И это даже несмотря на то, что фактически у B&W Halls более длительное время реверберации", говорит Эдди Бё Бриксен. Эксклюзивные фото с Рефсхалеюна, снятые сегодня. • Опубликовано официальное расписание репетиций и пресс-конференций Евронедели в Копенгагене. • Презентована русская версия песни "Shine" Сестер Толмачевых - "Половина". • Свежие новости о подготовке Teo к конкурсу. • Children of the Universe будет официально выпущена 28 апреля. • Билеты на финал конкурса были распроданы всего за 15 минут. Билеты на другие шоу все еще можно приобрести. • Санна Нильсен и Кристина Скарлат снимают открытки для Евровидения. • Результаты второго немецкого превью-шоу. Наша следующая гостья сегодня - представительница Эстонии Таня, которая исполнит в Копенгагене песню "Amazing". "Я была очень удивлена своей победе на Eesti Laul. Я так благодарна всем, кто поверил в меня и проголосовал за меня, всем кому понравилось мое выступление. Чувство было таким ошеломляющим, что я просто потеряла дар речи, все казалось как во сне"
описывает Таня свои чувства после победы на национальном отборе. Ранее она уже не раз пробовалась на эстонских отборах в составе "Nightlight Duo", но последние несколько лет не принимала участие в отборочных шоу. "Я просто почувствовала своим сердце, что пришло время вернуться, поэтому мы написали хорошую песню, и она была выбрана", говорит певица. "Мы уже 10 лет работаем с композитором Тимо Вендтом. Мы написали вместе все песни моего альбома "Gemini", который вышел в прошлом году. Мы также вместе выступаем, работаем в студии и хорошо проводим время. В этом году нам хотелось сделать что-то новое, принять новый вызов, поэтому мы решили написать песню для конкурса Евровидение. Конечно же в нашем любимом dance/pol стиле. И у нас получилось. Мне кажется, что одной из причин моей победы является мой сценический номер - комбинация танцев и одновременного пения, что, наверное, выделяло меня на фоне других конкурсантов. Также я считаю, что у нас просто очень хорошая песня для Евровидения. Но больше всего мне помогло одержать победу само мое желание победить: я об этом мечтала уже очень давно"
Мы спросили Таню - есть ли какой-то особый секрет тому "Amazing" вокалу, что мы услышали на национальном отборе? "О, это было сложной задачей! Все свои выступления я совершаю с живым вокалом, и я очень люблю танцевать со своими коллегами по коллективу - из этого я черпаю свою силу и энтузиазм. Также обстоят дела и с песней “Amazing”, нельзя сказать, что я просто делаю то как я хочу, и все получается само собой. Потребовалось много, и я имею в виду ОЧЕНЬ много репетиций, тяжелых ночей тренировок, было пролито много пота и слез. Но больше всего в жизни я люблю подобные сложные задачи, и приносить удовольствие людям своим выступление - поэтому каждая секунда той тяжелой работы, что нам пришлось провести, окупилась сполна"
Певица говорит, что в самой песне больше изменений уже не планируется. "Мы и так во время ее создания подвергали ее множеству различных изменений, что в общем является нормальным творческим процессом, и в итоге мы оказались полностью довольным получившимся результатом". Также планируется выпустить ремикс и акустическую версию трека. Однако, само выступление для Копенгагена будет содержать в себе несколько сюрпризов, которые пока не разглашаются. На сцене с Танецй выступят ее "самый любимый партнер по танцам всех време Арго Лиик, мы танцуем с ним вместе уже довольно долгое время в мюзиклах и специальных проектах на ТВ и т.д." и бэк-вокалистки, имеющие уже большой опыт выступлений на Евровидении: Кайре Вилгатс (Эстония 2000, Мальта 2002), Марви Валласте (2012) и Марилин Конго (2009, 2011). "По правде говоря, я не очень люблю конкурсы. Если быть уж совсем честной - то я их не люблю совсем :) Я получаю удовольствие от фестивалей, где все артисты знакомятся друг с другом, выступают и проводят вместе свободное время и никто их не оценивает со стороны. Но иногда нам всем требуется хороший впрыск адреналина", улыбается Таня. Ее первоначальная цель проста: "Прежде всего я надеюсь на то, что я хотя бы просто пройду в финал". К сожалению у представительницы Эстонии не будет промо-тура перед конкурсом: "Я верю, что предконкурсный промоушен важен для успеха на конкурсе и мне хотелось бы тоже поехать в тур, но, у меня нет на это времени, потому что мой график расписан практически ежедневными выступлениями - ритм просто сумасшедший", говорит Таня. В настоящее время ее планы включают в себя участие в ряде телепроектов и запись нового альбома. "В прошлом году у меня прошел потрясающий Рождественский тур, он был очень удачным, поэтому возможно я направлюсь в разные города Эстонии с рождественскими концертами и в этом году". Таня говорит, что ее музыкальные предпочтения, несомненно, лежат в области клубной и танцевальной музыки. "Последние 7 лет я пишу музыку и пою в этом стиле. Мне очень нравятся такиеисполнители как Бейонс, Пинк, и конечто же Лорен, прежде всего из-за их отношения к работе (они всегда поют вживую и я за это их очень уважаю)". Из песен, принимающих участие в Евровидении этого года эстонская певица отмечает песню Венгрии: "Мне она очень нравится. Я удивилась использованию ими drum'n'bass в припеве, у Андраша Каллай-Сондерса прекрасный вокал, а у его песни очень запоминающаяся мелодия. Я с нетерпением жду встречи с ним в Копенгагене"
"Получайте удовольствие от каждого мгновения своей жизни!" желает Таня всем читателям этого интервью. С его полным текстом (на английском языке) вы можете познакомиться на нашей странице в Facebook. Наши следующие гости - участники греческой группы Freaky Fortune, которые вместе с рэппером Riskykidd представят в этом году Грецию с песней "Rise Up". "Победа на национальном отборе стала для нас приятным сюрпризом! И это только начало всего того, что называется Евровидение. Мы очень обрадованны открывшейся для нас возможности! ", говорят участники группы Freaky Fortune Ник и Тео. "На нас… молодых люди Европы, очень сильно повлиял экономический кризис, и иногда политическая нестабильность. Сдадимся ли мы всем этим вещам, что удерживают нас? Желание подняться над сложностями и творить вдохновило нас на создание "Rise Up". Мы поднимаемся, смотря на мир через призму молодости, угол креативности и оптимизма, и мы хотим, чтобы вся Европа присоединилась к нам… Мы надеемся, что этот месседж сможет пробудить Европу и стать саундтреком того, что мы в настоящее время рассматриваем как одно из самых позитивных, поднимающих движений - движению "Rise Up"!" Песня была написана задолго до Евровидения. Freaky Fortune объединились с рэппером Riskykidd уже во время процесса ее написания. "У нас возникла идея рэп-вставок в песню, и поскольку нам очень нравилось участие RiskyKidd’а в композиции “Party all the time”, мы предложили нашей компании Panik Records пригласить RiskyKidd’а в нашу песню". Несколько спустя, рекорд лейбл предложил группе принять участие в национальном отборе с этой песней. "Конечно же, мы немедленно согласились! ", говорят Freaky Fortune. В самой песне изменений перед Копенгагеном не произойдет, но группа планирует выпустить несколько ремиксов, а также возможно акустическую версию композиции. Постановка номера, правда, немного изменится: "Мы хотим сделать нечто довольно сложное… такое, о чем мы пока не можем рассказать! Единственное, что мы можем намекнуть, что мы постараемся визуализировать название песни "Rise Up" (Поднимись)!". Что для участников является самым сложным в сценическом выступлении? "Хахаха… Мы пока не можем рассказать… но вы сразу поймете, когда увидите наше выступление!". К группе на сцене присоединяться два бэк-вокалиста, но их имена пока не разглашаются. У группы пока нет каких-либо планов на выпуск нового альбома перед Евровидением, поскольку сингл "Rise up" стал очень успешным в Греции и… дословно "поднимается" во всех чартах. "Наша первостепенная цель - передать месседж “RISE UP” всем людям Европы! Мы постараемся показать отличное выступление, получить удовольствие, заработать новый опыт и сделать так, чтобы Греция гордилась нами. Мы также очень надеемся на то, что участие в конкурсе станет новым стартом для наших новых европейских и международных проектов!" Группа посетит Амстердам и Лондон для участия в двух вечеринках Евровидения. "У нас есть предложения и от других стран, но пока мы не можем сказать, сможем ли мы их посетить. Вообще, мы бы хотели поездить по Европе так много, как это только возможно… открывать новые страны, встречаться с новыми людьми и распространять нашу музыку! ", говорят участники группы. Конечно же, они слышали уже все участвующие песни из других стран! "В числе наших фаворитов Армения, Мальта, Франция и Финляндия… надеемся, что мы никого не забыли!!". "Слушайте больше музыки, потому что она делает все окружающее лучше! Создайте саундтрек своей жизни, будьте позитивны, будьте сами собой, и, конечно же, “RISE UP”"
такой месседж участников группы читателям интервью. С полным его текстом (на английском) языке вы можете познакомиться на нашей Facebook странице. • Результаты первого выпуска превью шоу Der große ESC-Songcheck. • Санна Нильсен запустила видео дневник "Мой путь на Евровидение". • Басим завершает съемки открытки для Евровидения. • Сестры Толмачевы провели официальную фотосессию перед конкурсом. Наши следующие гости - представители самой роковой нации в истории Евровидения - Финляндии, группа "Softengine", которая в Копенгагене представит песню "Something Better". Солист группы Топи объясняет, как возникло ее название: "Мы хотели такое название, которое бы описывало нас как группу. Мы создали персонаж "Softengine". Это нарисованная фигурка, у которой вместо головы - мотор. Она отображает человека, который слишком много думает". В начале карьеры они принимали участие в местном конкурсе для любительских групп Lions Band и победили на нем. "Мы любим участвовать в конкурсах, потому что там мы получаем честные отзывы на наше творчество", говорят участники группы. К Топи первому пришла идея принять участие в UMK, национальном финском отборе на конкурс. "Мы увидели онлайн рекламу отбора. Мы провели внутри группы голосование, хотят ли все члены принять участие в UMK, и 3 голосами из 5 идея получила поддержку. Оставалось 10 дней до крайнего срока, чтобы написать песню, текст, сделать аранжировку и мастеринг. Мы закончили все в самый последний день!" "За десять дней до окончания приема заявок на UMK у нас была джем-сессия и мы играли на нашей репетиционной базе фанк. На следуюший день на меня снизошло, что из данной сессии я смогу сделать полноценную песню. В голове я распланировал припев и представил его остальным на следующей репетиции. Мы попробовали исполнить упрощенную версию припева и это зажгло всех. Поэтому, мы решили забыть о фанк-части. Мы поехали в коттедж моих дедушки с бабушкой, чтобы поработать там над текстом. Это и купание в сауне заняли пару дней. После этого мы записали, смикшировали и смастеринговали демо песни. Мы завершили ее как раз во время к концу приема заявок". "Текст песни рассказывает о старике, который вспоминает о своей жизни с детства до сегодняшнего времени. Он всегда был недоволен своей жизнью, поскольку ему казалось, что он никогда не достиг ничего, и не сделал в ней ничего необычного. В старости умирает его жена и он принимает, что то, что у них было - это и было "нечто лучшим", чем то, что он мог достичь и что он должен был лелеять это время. Понимание возможности победы на отборе пришло только с оглашением результатов голосования жюри. "Я не очень помню всю эту ситуацию, но это было настолько неожиданным! ", говорит Топи. Участники группы считают, что наличие хорошей песни и то, что они отличались от других конкурсантов отбора помогло им победить на национальном отборе. Принесет ли это же им удачу и на международном Евровидении? "Было бы здорово пройти в финал. Это стало бы для нас прекрасным промо-концертом! ", говорит Топи. После отбора группа отправилась в студию для того, чтобы улучшить немного песню к конкурсу: "Мы немного поработали над мелодией припева, обратили тщательное внимание на произношение, добавили несколько мелких деталей и в общем улучшили звучание". При этом, сценический номер останется более-менее прежним. Видеоклип на песню группы был снят на ипподроме. "Там была небольшая сцена, на которой нам пришлось множество раз подряд исполнить свою песню. Было очень холодно, но довольно весело!" "Сейчас, все наше время мы работаем над нашим альбомом. Он будет очень разнообразным и покажет, что мы не только рок-группа. Я пока не знаю, когда он будет завершен, но мы постараемся это сделать как можно быстрее"
Альбом будет выпускать компания Sony Music, и участники группы очень благодарны своему рекорд-лейблу. "Они нам очень помогли, без них мы бы просто потерялись во всём!" Из-за напряженного расписания, группа, к сожалению, не сможет принять участие в промо-туре. "Я считаю, что конечно, предконкурсный промоушен тоже имеет значение, но наиболее важно именно то, как ты выступишь на сцене Евровидения". Однако, у Топи было уже время прослушать ряд участвующих песен, и на данный момент его фаворитами являются представители Греции и Армении. "Если вы вдруг еще не слышали нашу песню, то вы можете сделать это на нашем вебсайте www.softengine.fi. Мы надеемся, что она вам очень понравится. Подписывайтесь на нас в Facebook и Instagram"
Полностью интервью (на английском языке) вы можете прочитать на нашей Facebook странице. Датский вещатель DR не будет реагировать на призыв партии Социал-Демократов,второй по величине партии в Датском парламенте и лидирующей партии в нынешней правительственной коалиции, об исключении России из конкурса Евровидение. Лассе Куванг Расмуссен, 4й по старшинству кандидат от Социал-Демократов на выборах в Европейский парламент, которые пройдут 25 мая, призвал исключить Россию с Евровидения из-за событий на Крымском полуострове. Он обещает, что партия окажет политическое давление на DR и ЕВС, организаторов Евровидения, чтобы представители России Сестры Толмачевы не смогли выступить на конкурсе. Однако, руководитель проекта Евровидения на телеканале DR Пернилле Гаардбо говорит о том, что телеканал не будет вмешиваться в политический конфликт. "Роль телеканала DR в организации конкурса Евровидение 2014 - создать три фантастических шоу, которые станут основой для объединения музыкального сообщества Европы. С самого начала идеей международного конкурса было объединение Европы посредством музыки. А уже конкретно все вопросы, касающиеся допуска тех или иных стран к участию в конкурсе, лежат только в компетенции ЕВС"
Лассе Куванг Расмуссен предлагает исключение из Евровидения, как альтернативу политическим и экономическим санкциям, которые Запад уже наложил на Россию. Уже существующие санкции в России "высмеиваются", поэтому пришло время "придумать новые ограничения", говорит политик. "Очевидно, что самый лучший момент, который мы можем использовать - это проведение конкурса в Дании, куда мы не должны пускать Россию". Он считает, что поскольку телеканал DR обладает особой позицией телеканала-организатора конкурса в этом году, то именно от него должно исходить предложение в ЕВС о введении подобных санкций. "Это не ударит по ним финансово. Но русские очень любят Евровидение, и это решение пошлет определенные волны недовольства среди населения. Таким образом, мы можем задеть Путина по самому болезненному для него месту: его престижу"
"В Европе сложилась очень сложная ситуация. Очевидно, что нам приходится пристально следить за ее развитием, и тем не повлияет ли она каким-либо образом на конкурс Евровидение. Но пока мы полагаем, что подобного влияния не произойдет"
• Европейские вещатели готовят превью-шоу: Der große ESC-Songcheck будет выходить в онлайн эфир 3-6 апреля, Inför Eurovision начнется 4го апреля, Alla leið будет запущена 5го апреля, De Eurovisa начнется 13 апреля, и наконец Adresse København будет выходить с 26 апреля.